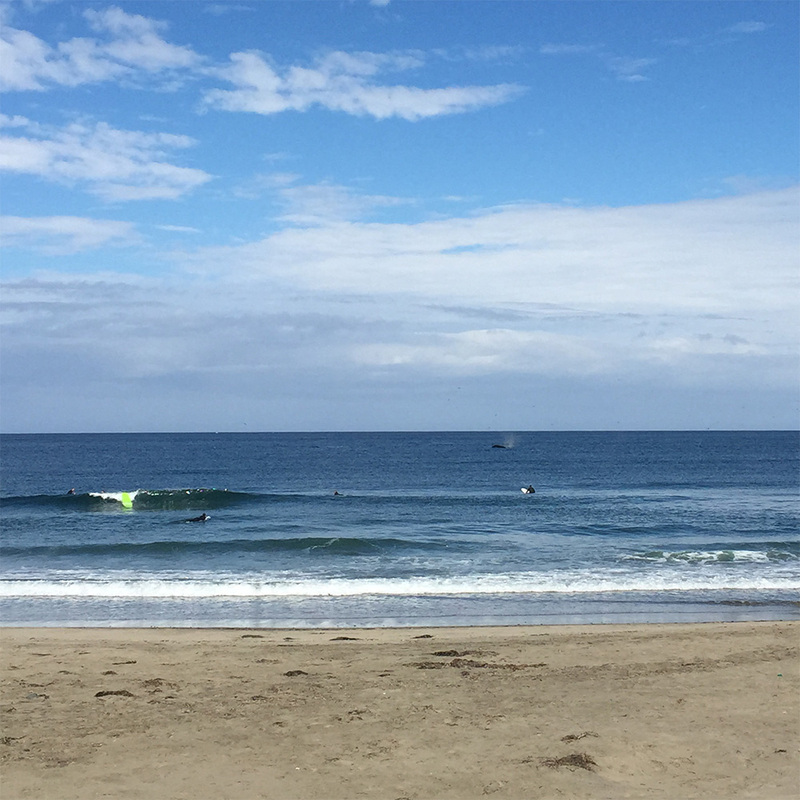 Ocean looked small and smooth today with some offshore winds and blue, blue water. Near the horizon, so many whales! Counted at least four whales breaching nonstop, flocks of birds hovering in the air above them. Lots of whale photographers too with big lenses. Waves were small but clean with the offshore. Headed to the lineup north of the pumphouse (lined up to the palm tree). Current pushed everyone north like a paddling treadmill and you had to be lined up to that palm tree to make the wave as the tide rose. Luckily, I caught one a right pretty quickly, then started moving around the crowd to get in position. Minty longboard guy was out as was ponytail guy. “I don’t know what kind of whales those are, I just know they’re HUGE!” he said. Pretty happy with myself that I managed to get a handful of waves. Though small, there were some good ones, including a fast left off a set wave that went zipping down the line. Another couple of lefts and rights. After about forty minutes, the waves were shifting really close to the beach. Max wasn’t feeling it and headed to the beach. I saw Rick Loeper in the water and chatted with him. By then, it was getting blown out so I headed in myself. You can see a whale breaching in this shot out by the horizon. Counted 3 out of 6. 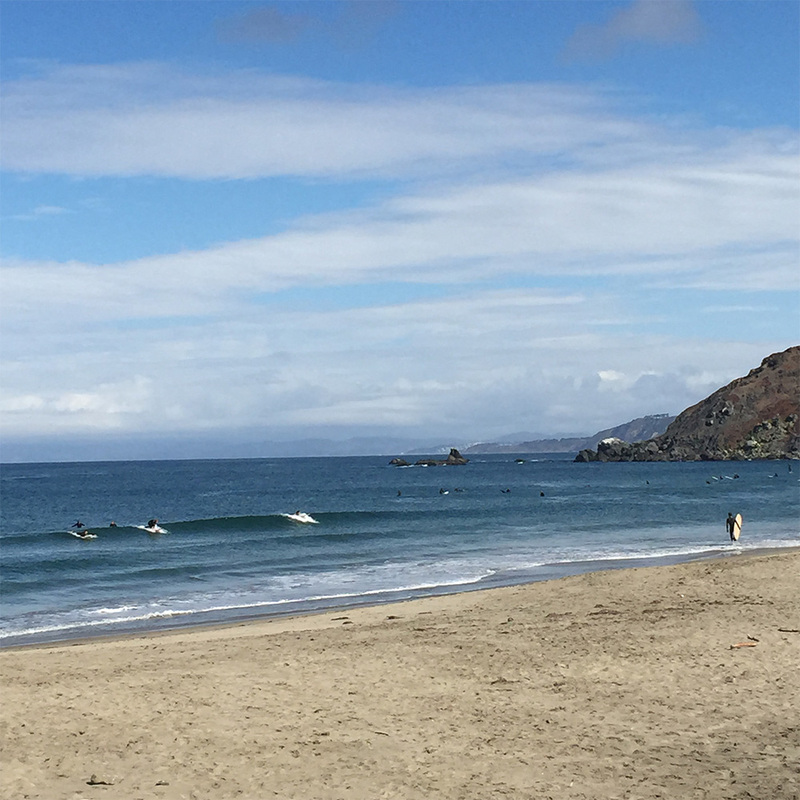 Afternoon Report for SF-San Mateo County: Fading NW windswell mixes with tiny, leftover SSW swell to offer knee-waist high surf to exposures. 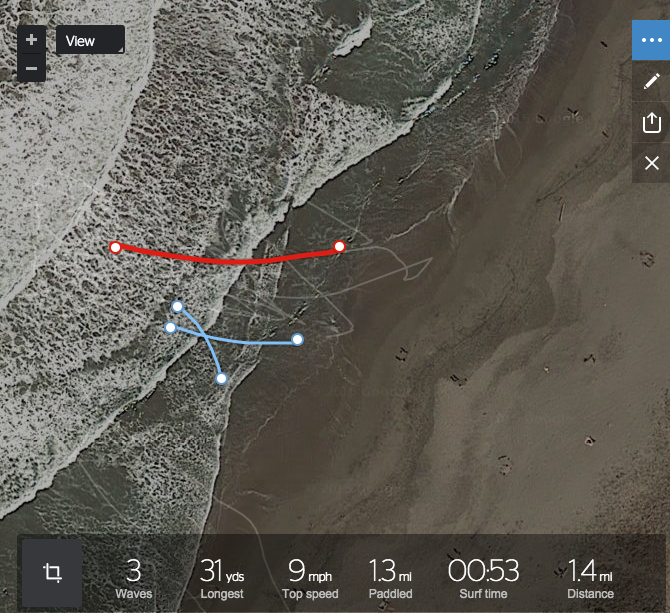 Winds are strong SSW now, making for textured, sloppy conditions at all but the most N facing breaks. Tide rose to a 5.45′ at 1:18pm.